In the recent development, UP Real Estate Regulatory Authority (RERA) has notified the process & fees for editing the registration information and details provided at the time of RERA project registration. This would be applicable to all the registered project where any information/document prescribed under registration form is missing or could not uploaded. Real Estate (Regulation and Development) Act, 2016 came in force on 1st May, 2017. 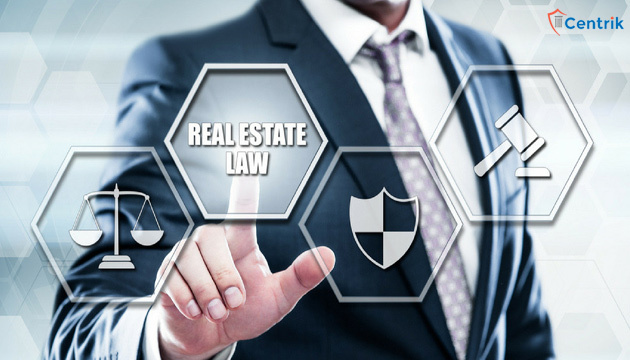 The law makes it mandatory for the promoters of real estate projects to register with the respective State Real Estate Regulatory Authority (RERA) while providing the various details as enumerated in Section 4 of the Act within three months from the date of coming in force of the Act i.e. 31st July, 2017. Uttar Pradesh (UP) is the most populous State in the Country which naturally creates huge demand for the real estate sector. With five UP districts namely Meerut, Ghaziabad, Gautam Budh Nagar, Bulandshahr, Hapur and Baghpat falling in NCR, together big cities such Lucknow, Kanpur etc., total number of registered projects in UP is close to 2400. The notification is effective from 07.05.2018 and applies to all the registered project before 07.05.2018. UP RERA website opened registration process on 26th July, 2017 which gave mere 5 days to all the promoters to get their project registered. It was a huge task as the details needed to be provided as per the Act required more time. Therefore, many details were left vacant by the promoters in order to complete the registration process before the deadline. The deadline was extended by 15 days till 15.08.2017 without any charges. Further, fine to the tune of 1, 5 & 10% was prescribed for delay in providing the full information on fortnightly basis i.e. upto 30.09.2017. Complete details of apartments, shop, parking etc. Later, UP RERA sent notice to the promoters demanding justification for not filing the details. Most of the promoters complained about the technical glitches as the primary reason for not being able to file the necessary details. For those builders/promoters who have still not completed the full information details as provided in Section 4 sub-clause 2, have been given final opportunity by the UP RERA to update their profile by editing the information submitted during registration and comply with the law. The UP RERA website has been redesigned and made user friendly to enable promoters to effectively register the description of the project as well as upload the documents in compliance of the Act and the rules. Following are the documents required to be uploaded on the website. Kindly note the list is not exhaustive. Details of the project completed earlier. Authenticated copy of the approvals and commencement certificate. Sanctioned plan, layout plan, specifications of the project and phase thereof. Plan of the development works. Location details of the project. Proforma of the Allotment letter. Name and addresses of the contractors, architect, structural engineer. The registered used has to log in using the ID and password received at the time of registration and after paying the fees can edit the information filled during the registration process. Further, blank columns needs to be filled and necessary documents uploaded. If any column is to be left blank, then NA has to be typed in that column to complete profile. It has to be noted that the details filled earlier cannot be deleted, though new information can be added to it. The following fields can be updated only by the RERA after the relevant order to the effect is uploaded by the promoter. The editing of the information provided during the registration process can only be done after paying a fee of 10% or 20% of registration fee paid during registration process, depending upon when you choose to do the editing. For editing from 08.05.2018 to 06.06.2018, 10% of the initial registration fees and for the period between 07.06.2018 to 06.07.2018, 20% of the initial registration needs to be paid. The editing process end on 06.07.2018 and after that no information can be edited except the Quarterly Progress Report which needs to be updated on every three months. The facility will be closed from 07.07.2018 onwards. For those promoters who leave their information details incomplete after the editing window will be proceeded against under UP RERA Rules 7 & 8 and heavy fines will be imposed upon them. Further, few districts in UP consider violation of building bye-laws and RERA as offence under UP Gangsters and Anti-Social Activities (Prevention) Act, 1986 which has very stringent punishment for the offenders. Given the sincerity shown by the UP government in implementing this consumer protection legislation, promoters / builders are best advised to comply with the law and take opportunity provided by the UP RERA immediately to prevent cost escalation of the real estate project and avoid fines and penalty.